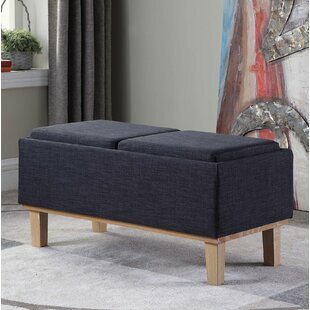 Main Material: Upholstered Main Material Details: Comfort foam padded, medium-density fiberboard Upholstered: Yes Weight Capacity: 600lb. 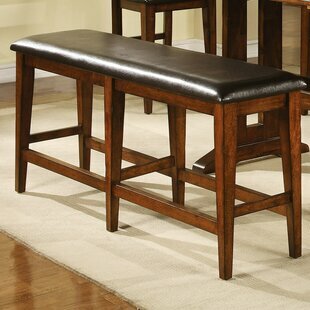 Beautiful and elegant, the Wildon Home Elmore Hardwood Bench has an heirloom style quality. 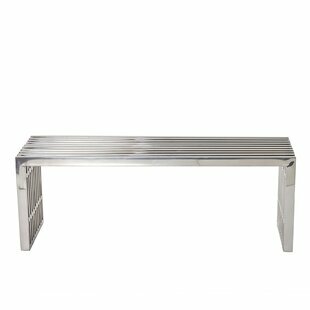 This serene bench is made of MDF and hardwood, with a solid wood construction. 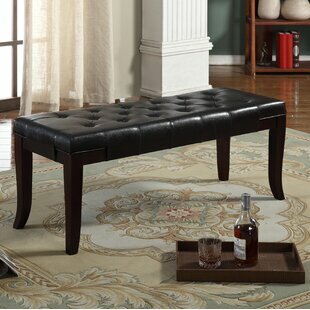 The traditional design features spindle front legs and arm rest, and cathedral design backrest. 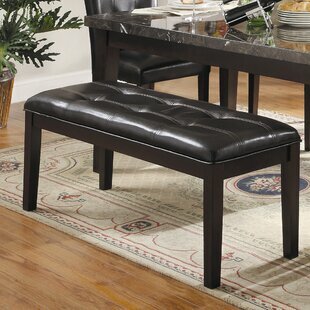 The rub through distressed black finish adds to the charming looks of this Elmore Hardwood Bench. 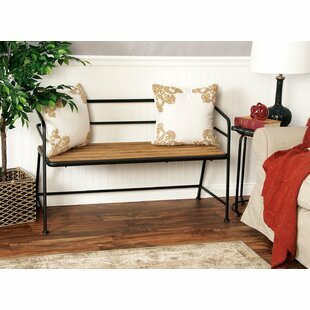 Use this gorgeous bench for your entryway, kitchen, dining room or bedroom. 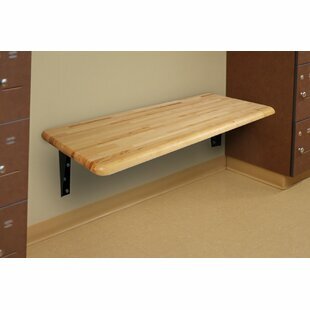 This serene bench creates the perfect place to relax... Color: Black Weight Capacity: 300lb. 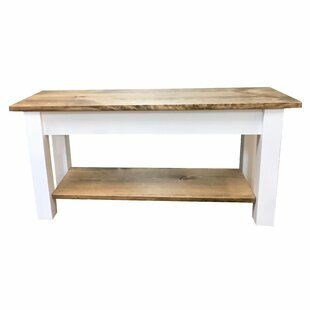 Make a statement with seating in your home with this delightful entryway bench. 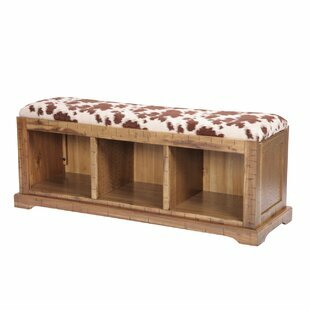 Showcasing a traditional-inspired design and a slatted light brown fir wood seat, this bench is perfect for adding a touch of charm to any space. 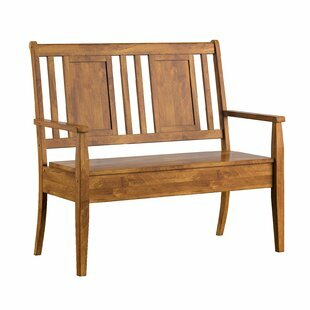 The wooden seat doesnt need to exactly match the other wood in your home, so dont worry about mixing and matching. 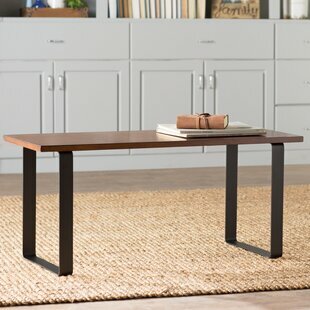 Just make sure the finishes are in the same family for a cohesive feel. 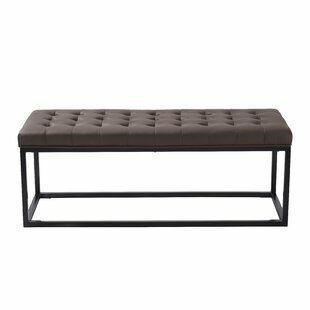 This bench also features a matte black iron frame, back rest, and legs, for a... Color: Brown/Black Main Material: Solid Wood Weight Capacity: 250lb. 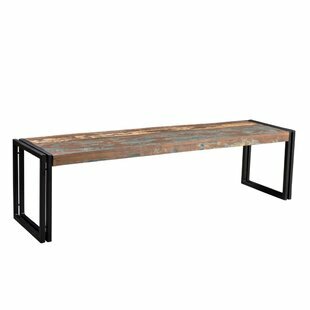 Pairing understated design with industrial flair, this handsome wood and metal bench brings distinctive style to any corner of your home. 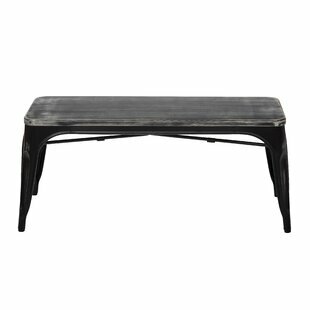 Its wood grain details pair perfectly with rustic decor and vintaged accents while its rich black base matches with reclaimed wood furniture for a farmhouse-inspired look. 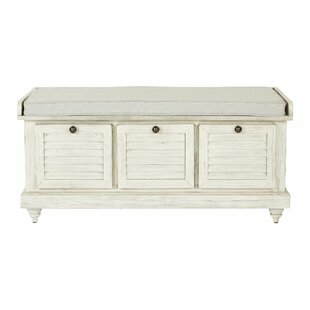 Add it to the entryway to complement a factory aesthetic or use it to level out a mod living room. 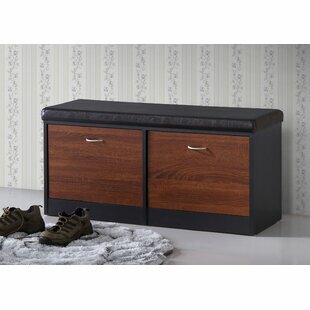 Its clean-lined silhouette matches aesthetics from casual to formal while its open base... Color: Chestnut and black Main Material: Metal Main Material Details: Steel Weight Capacity: 400lb. 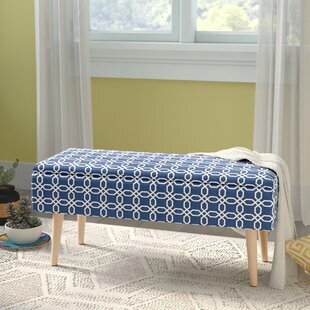 Set this stylish bench at the foot of the bed to hold folded blankets and fresh laundry, or add it to the entryway for a convenient spot to pull on shoes and boots. Crafted from metal, its frame features an X base connected by a support all finished in sleek silver for a pop of polish. 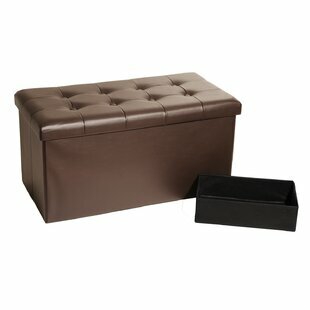 Non-fussy faux leather upholstery wraps around the top cushion, featuring a solid hue and button tufts. 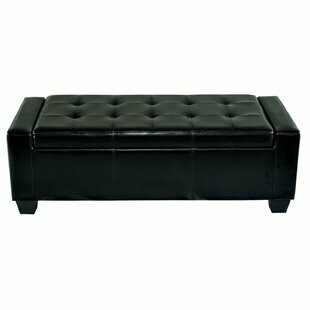 Main Material: Metal Upholstered: Yes Upholstery Color: Black Upholstery Material: Faux leather Weight Capacity: 200lb. 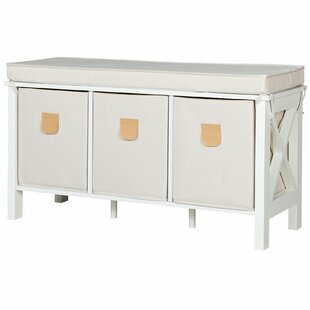 Color: Beige/White Main Material: Solid Wood Main Material Details: Pine wood Weight Capacity: 100lb. 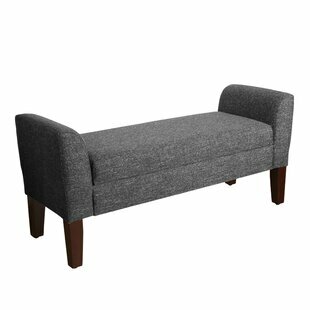 Main Material: Manufactured Wood Main Material Details: MDF Upholstered: Yes Upholstery Material: Polyester Blend Weight Capacity: 250lb. Kick up your feet in style! 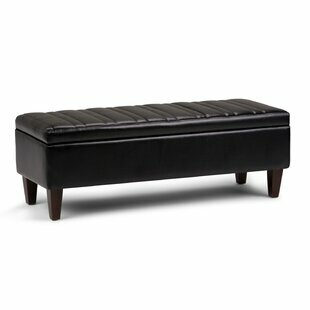 This Perillo Upholstered Bench is the ideal grace note for your living room. 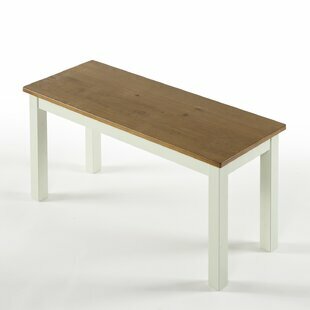 Made from the highest quality materials crafted to exacting standards, this is a piece youll treasure for years to come. 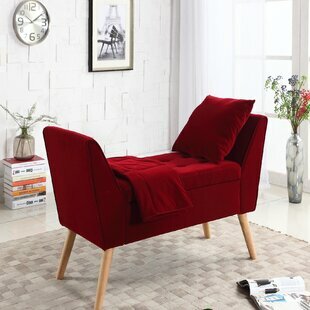 Main Material: Upholstered Main Material Details: Polyester/Polyester blend Upholstered: Yes Upholstery Material: Polyester Blend Weight Capacity: 250lb. 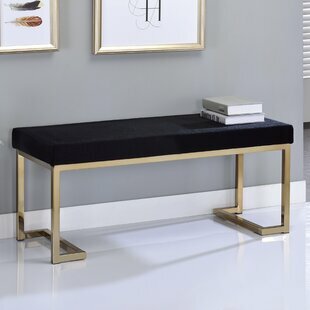 With industrial, welded metal-bar appearance this vintage looking Selene Wood/Metal Bench seat is as easy to clean as it is striking, the fully assembled Selene Wood/Metal Bench evokes qualities of durability and style as it makes its home in any room. Attractive vibes of steampunk and urban lifestyle are perfect for restaurant environments, already imbued with a rustic or gritty atmosphere. 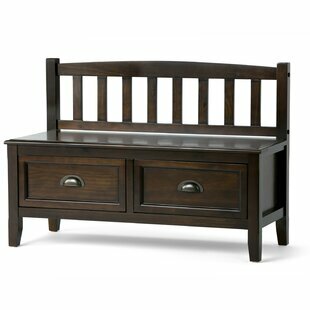 As functional and sturdy as it is appealing, guests are sure to appreciate the overall polished... Main Material: Metal; Solid Wood Weight Capacity: 250lb. 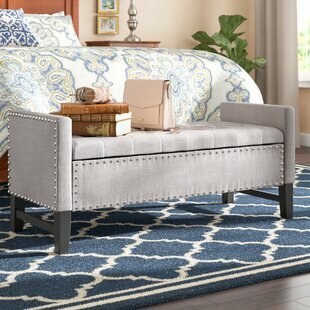 The fabric boasts a trendy nailhead trim that is sure to please even the harshest critic in your home. 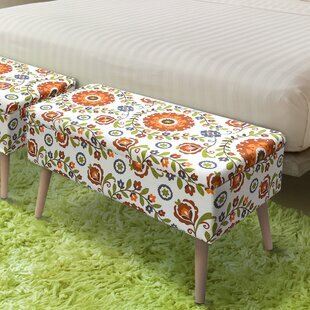 Elegantly designed to match any modern decor, this can be used for a footrest or a seat while you get ready for date night. 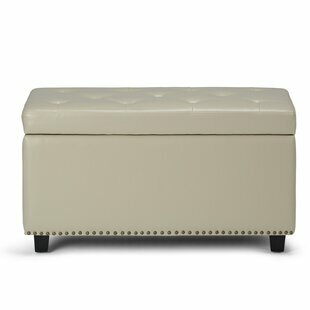 Tufted fabric buttons and sturdy, solid wood legs complete the look. 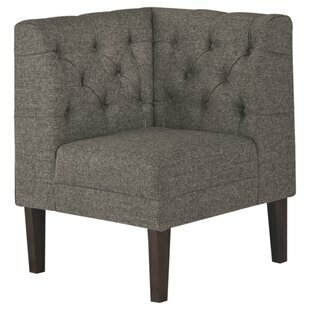 Main Material: Upholstered Upholstered: Yes Upholstery Material: 100% Linen Weight Capacity: 300lb. 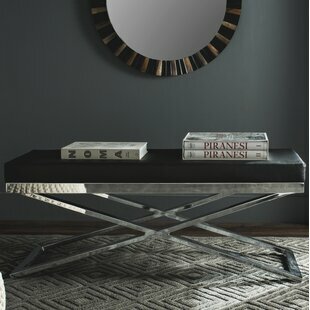 Adding a statement piece to your decor just got easier. 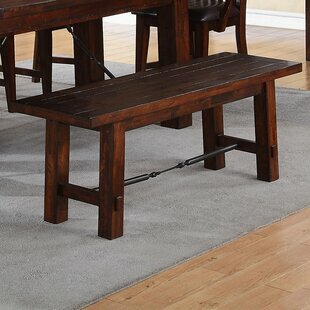 Sure, the features bench made craftsmanship, which means this piece will remain strong and stable for years to come. 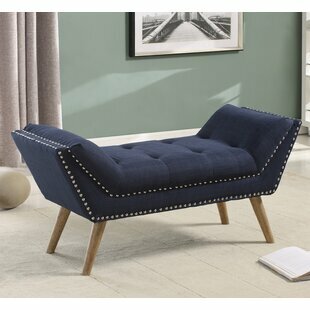 But its the classic and yet elegant cut-out design with silver nail heads trimming and the matching classic legs that will turn heads. 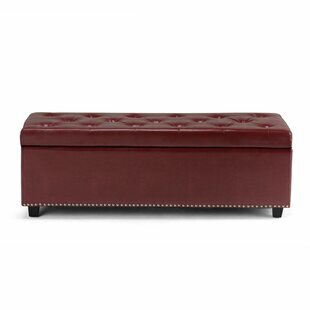 To add more chic, the padded seat and armrest are button-tufted. 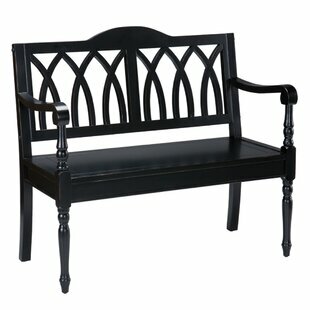 Ideal to be a masterpiece at the entryway or as a bed end bench. 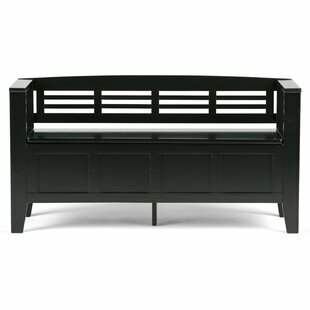 Main Material Details: Hardwood, Plywood Upholstered: Yes Weight Capacity: 200lb. 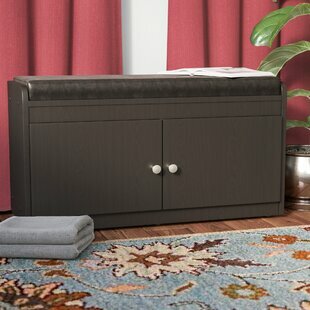 Whether youre looking for a simple storage solution in your busy entertainment space or offering an extra seat in the den seating group, this understated storage ottoman brings a subtly stylish twist to any ensemble. 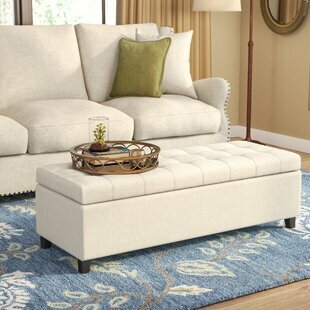 Featuring a wood frame wrapped in beige-toned linen upholstery, this piece makes a neutral statement in your space, while the grid-tufted details offer up a touch of texture to the ensemble. 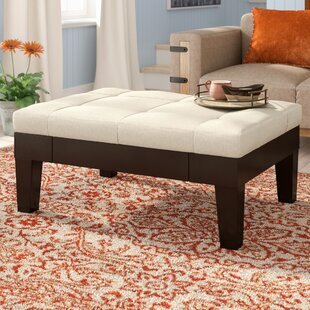 Open up the hinged seat to stow away folded throw blankets and board games in the living... Main Material: Upholstered Upholstered: Yes Upholstery Color: Beige Upholstery Material: 100% Linen Weight Capacity: 250lb. 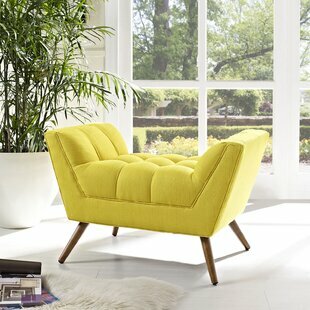 Embrace leisure time with this artfully designed collection. 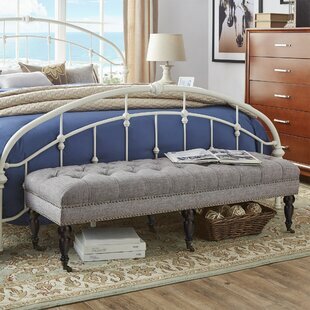 Exquisitely crafted with tufted seat and back, gently sloping arms, and adorable design, this collection comes well-loved for all the right reasons. 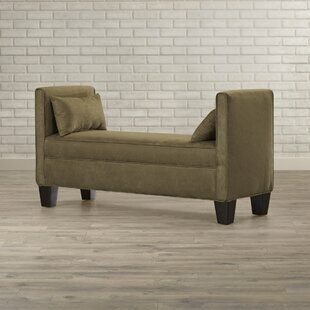 Dense foam padding ensures comfort, while the well-orchestrated style will energize your space. 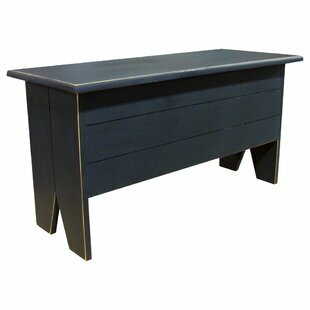 Tapered wood legs with non-marketing foot caps finish off this piece of distinction and estimable appeal. 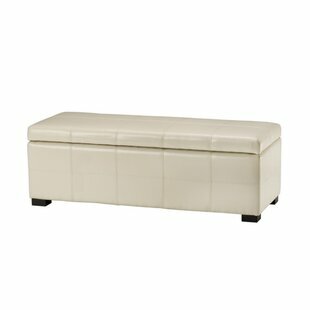 Main Material: Upholstered Upholstered: Yes Weight Capacity: 441lb.